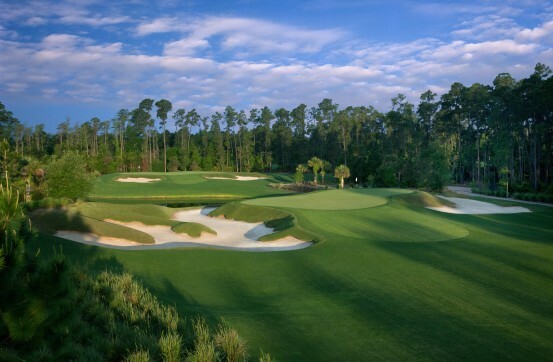 Golf Magazine’s prestigious, “Top Courses You Can Play," - The Waldorf Astoria Golf Club. Visually stunning and immensely playable, our Par 72 golf course is enhanced by natural elements like majestic cypress trees lining the fairways and features a five-tee system to accommodate golfers of every caliber. The Waldorf Astoria Golf Club measures an impressive 7,108 yards from the Professional Tees and maintains a course rating of 74.6 and slope of 139. Using the land’s natural contours as a canvas and a fertile imagination as a palette, this meticulously designed course was created by acclaimed golf course architect Rees Jones. Our 18-hole masterpiece pulls in elements from several of the world’s classic courses - some designed a century ago. The layout ingeniously blends its traditional character with endless subtleties for a challenging experience. Mindful of the natural elements and in homage to the game’s storied history, Jones created a golf course of great integrity and environmental consciousness that seamlessly folds into the terrain, so it appears to have been here forever.